We totally love blue goldstone, with its deep navy color and brilliant sparkles! 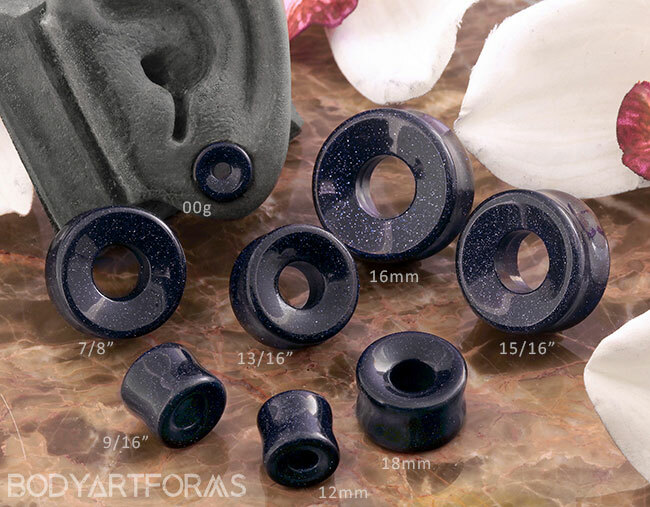 And these fantastic double flare eyelets have just that! Be aware, these plugs have a short length, and a small flare size.